It wouldn't be a hyperbole to say that the Indian film business will henceforth be divided into the pre- and post-Baahubali 2 era. Since the SS Rajamouli directed follow-up to 2015's Baahubali: The Beginning released on 28 April 2017, it created a storm at the Indian and overseas box offices, the likes of which hadn't been seen before. 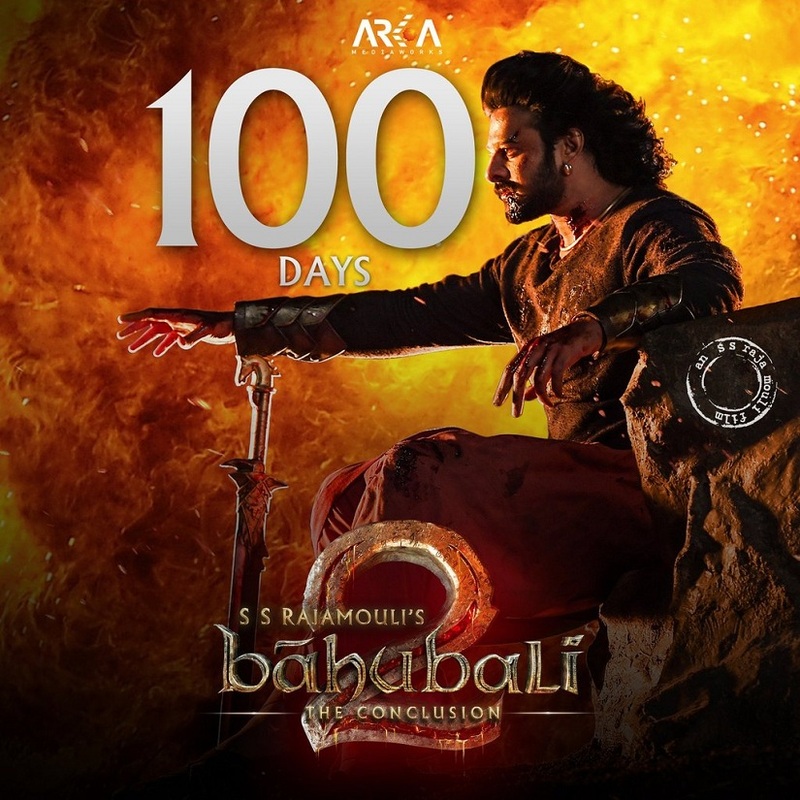 The film has now completed an epic 100-day run at Indian theatres. Across Mumbai, Chennai, Hyderabad, Bengaluru and the NCR region, Baahubali 2 still has at least one show playing, more than three months after its release. Some Kerala theatres too are marking the film's 100-day run. Meanwhile, the Prabhas-Rana Daggubati-Anushka Shetty starrer has also been made available to view on Netflix. When Baahubali 2: The Conclusion (also spelt as Bahubali 2) released this April, the list of highest-grossing films had PK in the top spot, with global earnings of roughly Rs 790 crore. Another Aamir Khan-starrer, Dangal (released in December 2016) had the second place with slightly under Rs 750 crore in worldwide box office collections (excluding China and Taiwan). The mania around Baahubali 2's release was unprecedented. Part I — The Beginning — had made around Rs 650 crore (it is still the fourth-highest earning Indian movie of all time); The Conclusion was expected to match that figure, at the very least. What happened when Baahubali 2 opened in theatres, however, was beyond the wildest dreams of any trade analyst. Clocking up an impressive Rs 40+ crore on its first day, its box office collections crossed the Rs 100 crore mark by the end of its opening weekend. One benchmark after another was set, and it became the first Indian film to gross over Rs 1,000 crore. It was also — until Dangal's release in China this May — India's top-earning film. At the end of its 100-day theatre run, Baahubali 2's worldwide box office figures stand at a little under the Rs 1,700-crore mark. The Hindi version of the film has collected nearly Rs 510 crore while the all-India gross collections of all versions comes up to an astounding Rs 1,380 crore. Since Baahubali 2 and Dangal's gravity-defying feat at the box office, no Indian film has managed to match up to their benchmark. Salman Khan's Tubelight was pitched as a challenger, but faltered. Now the expectations have shifted to big-ticket films like Randamoozham, Ramayana, 2.0, Kaala and Thugs of Hindostan to possibly generate the same sort of euphoria for the trade.